I hear them…these voices all around me…whispering: they will never do legal research on a smartphone, the screen is too small! How can lawyers or any knowledge professional do research on a mobile device? These voices weren’t whispers 2 years ago, they were loud and clear and drove me to write about it. Mobile consumes and desktop creates, no if and’s or but’s. Now several events hopefully will exorcise these faint yet persistent notions and help us embrace our enlightened reality. While Health and especially Finance went full throttle in mobile, driven respectively by pure need and speed, other business markets have been slower to adopt. 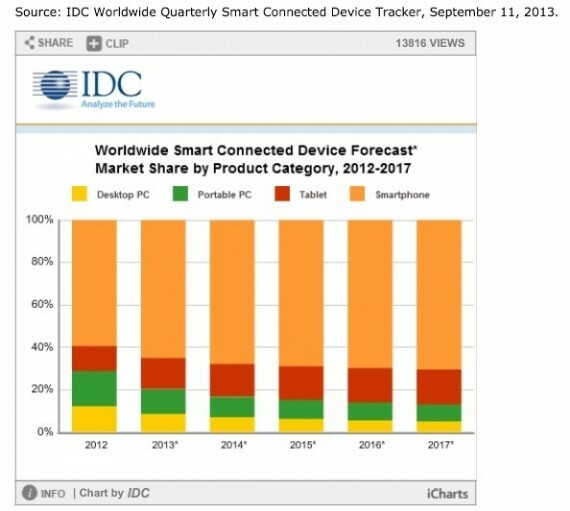 Yet, this anxious stance does not reflect reality: PC shipments will only be 20.6% of the total market of smart connected devices. Tablets are forecast to overtake PC sales entirely this Christmas. By 2017,total traditional PC devices are expected to drop to 13%, while tablets and smartphones will contribute 16.5% and 70.5% respectively to the overall market. Those that cling towards a PC oriented design strategy will face extinction just as the operating system and software needed to run it. These whispering spirits are often accompanied by the argument: Legal Professionals are different. Legal professionals spend between 40-50 hours on computers. Yet, they spend only 15 hours (30%) on research. Now here’s my question: if 70% on computers is not spent on research, than what are they doing? I presume emailing, drafting,scheduling or reading the news? I haven’t gotten my hands on studies to confirm this. But if so, do you really need a desktop for those “non research” activities? The answer is No, emailing doesn’t need desktops anymore and drafting is slowly but surely going mobile. This entertaining post asks lawyers to share their iPad home screen. I wasn’t surprised that a word processing app was pinned to their task bar. I can imagine that formatting in MS Word still is a challenge on any screen but its not impossible. Moreover, at the rate of consumer innovation we are just a few swipes away from full-blown word processing on mobile. That leaves us with just those 15 hours chained to desktops (or laptops). Now, why do these voices persist? 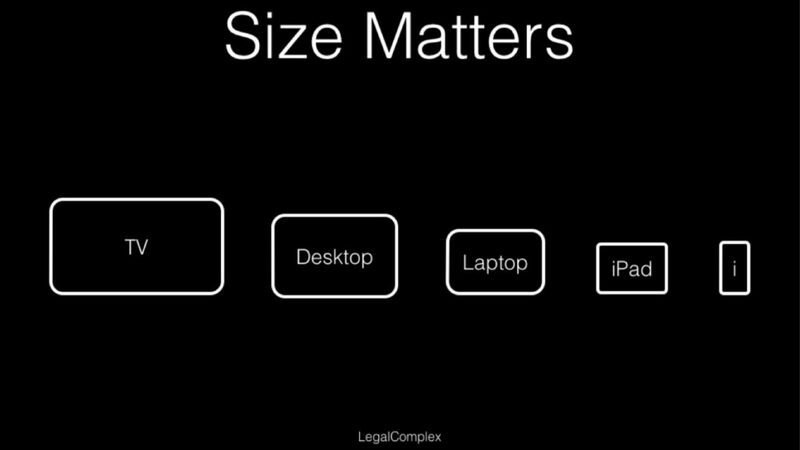 Because designing legal research is still a challenge on small screens. Legacy that goes all the way back to the shift from print to online has left walls we cannot see beyond. While the consumer tech broke down barriers and completely conquered businesses to the point of being unethical in some cases. Signs of changing times have shown the wait is almost over. 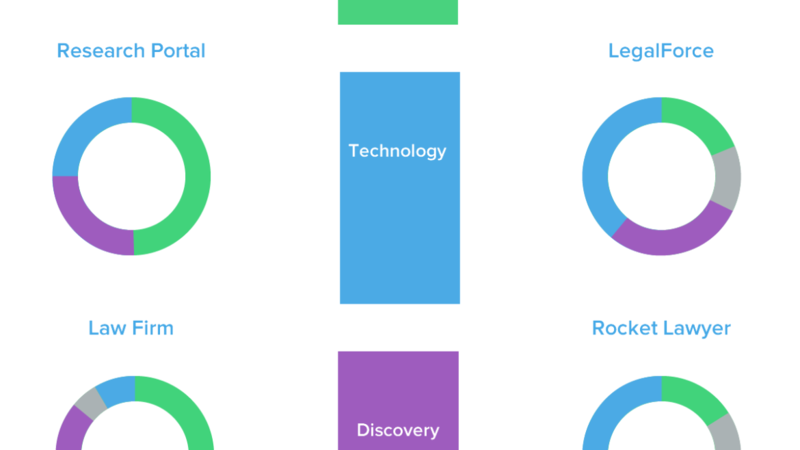 In all corners of Wolters Kluwer we are rethinking and redesigning research on any screen size and in all environments. FULL DISCLOSURE: I started drafting this post in Simplenote while waiting for my car to get repaired. I copied it to the WordPress app to add links and formatting*. Links I saved while reading the web on my tablet and smartphone in Pocket. No desktops were harmed during the making of this post. So I hereby say farewell to my ghosts. Last week the esteemed Washington Post was sold for a fraction of what Facebook paidfor Instagram, and also a fraction of what Yahoo paid for Tumblr. A reminder that the value of this prestigious 135 year old institution of journalistic expertise is in stark contrast to current internet-first content aggregators. That content served up by an extensive community is worth more than when it is provided by a set of hand-picked experts. As one legal blogger stated: “The logic of economic value has changed forever”. So my question is: what is the value of traditional legal services? When does a product provide value to customers? And how to measure it? To help answer these questions I delved into the meaning of value and specifically what value is for a consumer of legal services. One simple answer I heard during a lively discussion on the subject of new versus old legal business models: Does the product generate more value for the consumer that it cost to acquire it? To find out I took two low-end and two high-end legal service examples which many see as a disruption to the establishment and analyzed their value. 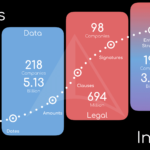 It’s reported that Legalzoom would be #163 on the AmLaw 200 based on its generated revenue. Similar to Rocket Lawyer, its end product is legal documents, which are supplied by a community of legal professionals. 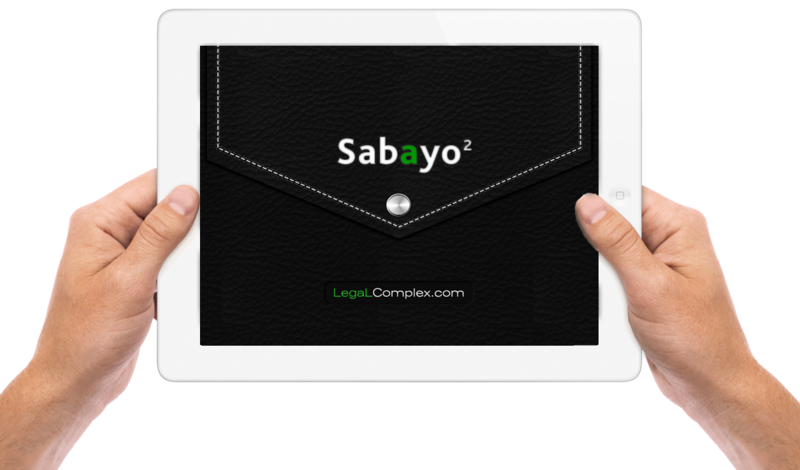 Both provide a platform for the legal community to interact with consumers to provide legal services. You may read more here on both their effects as branded networks. Axiom has been characterized as a project , a mysterious animal in the legal market which is pondering its own IPO. With a complex set of services it accommodates both small and large deals. Based on its revenue I assume its ranking would be similar to Legalzoom. LegalForce also seems a fairy tale that doesn’t fit the legal market reality. They claim to have filed more trademarks than any other entity in the world and add clients at a blistering pace. Besides their two impressive legal search engines LegalForce recently designed a unique kind of retail stores to augment their online service. community: the size of the community engaged to increase the knowledge capital. Specific numbers would in any case still make it arbitrary exploration so I used my honest judgement weighing each element per service based on reviews, comments and articles I could gather. For example a book on a specific legal subject would be heavy on expertise but light on discovery due to lack of more advance discovery mechanisms that go beyond the table of contents or index. While a workflow tool might hide the expertise with technology and hamper simple browsing of it. In exchange, a workflow or automation tool would deliver a more consistent but maybe less personalized end result. 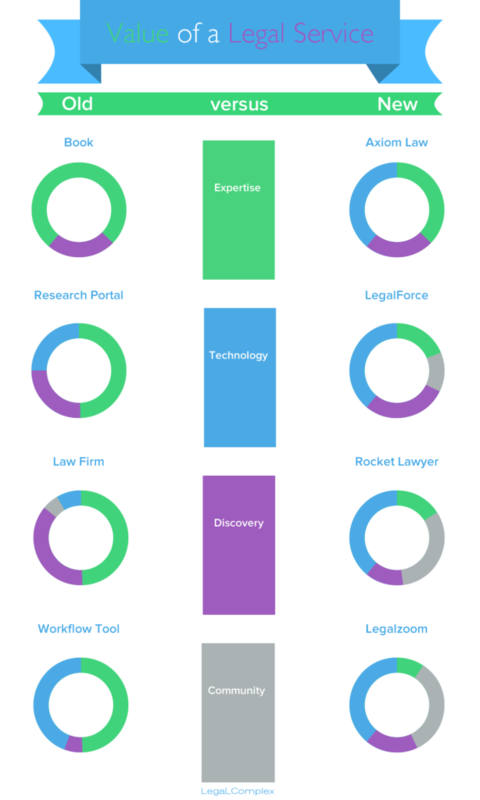 So the goal of this exercise is to visualize how traditional legal services stack up against technology first legal services (and give me an excuse to dabble with infographics). My lesson from this exercise is that a lot of expertise without technology (e.g. book) might have less value than a technology first service (workflow tool). Then again, a workflow or automation tool may have too much technology going for it to expose the expertise which is still valuable in solving unique cases. I also suspect that services like Axiom Law use technology to continuously calibrate their elements based on what’s needed to help their clients. Thus making it more valuable. Finally, the size of the engaged community will boost value of a service exponentially as opposed to a limited set of experts (Washington Post effect). Many lawyers find themselves adrift in this market, in search of a purpose: What value do we provide? Legal services shift from lawyer to non-lawyer providers supported by the changing mindsets about the value of legal products. 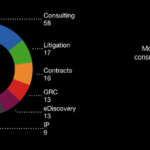 In turn these new legal service providers invest heavily in technology. Their organizational structure is also very different from traditional law firms. Although under regulation these parties are not allowed to dispense formal legal counsel, they seem to grasp a large portion of the work. Traditional services would benefit greatly by boosting their technology expertise. Not only because it is required by the industry and clients demand it*. Not even because workflow tools and other software aids increase efficiency. Simply because an expertise in technology will boost value for their clients more than the legal expertise. In addition the sale of the Washington Post demonstrated: the value is not always derived from the number of experts on staff or the legacy of the institution but also by leveraging of the crowds with technology. I believe more models will arise because the industry is still in transition but now is the time to hack instead of attack. *Note: I read somewhere that a General Counsel requires lawyers to take a technology aptitude test as part of the procurement process. Unfortunately, I lost the article. The fact that I’m losing stuff I will tackle with Monocle. Skeuomorphism: Will It Make Us Smarter? Recently Apple has been awarded a patent for the virtual book page turn. Now imagine such an event in the age of the printing press. How would we navigate books or other printed materials? The tools and the methods we used in the physical world are slowly coming to live in the digital world. Skeuomorph design has blazed the path to copy from the physical to the virtual world. Yet, without a better understanding of the real world, will it help or hurt? I do not despair the page flip patent. To the contrary, I salute the fact that we will one day seize to use remnants from an inexpedient paper past and replace it with more convenient digital methods. Although we measure the power of a vehicle by horses we do not use their techniques to advance engine technology. So while we slowly transition from tangible to digital with clever tricks that ease our reluctance and broaden our acceptance, we will also surely break with tradition at some stage. This has triggered my venture to seek out those methods that will likely make us smarter in the future. I’ve looked at the techniques we’ve been using to capture, preserve and reuse information, the things that help us remember, navigate and connect the dots. 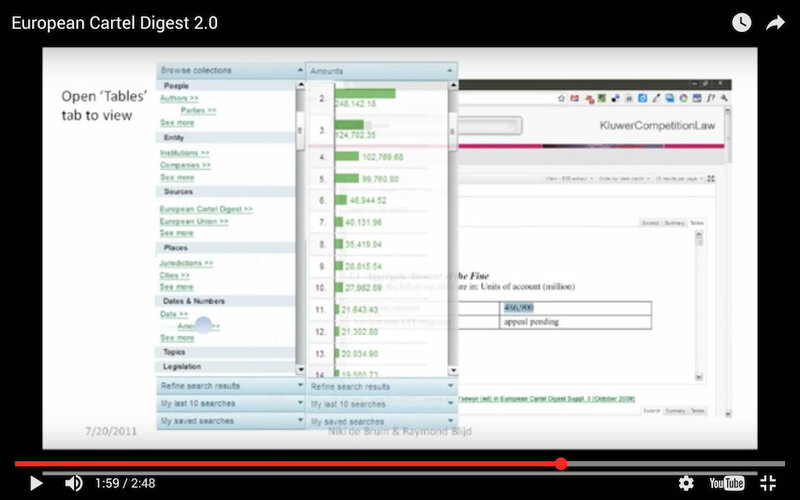 Not only prepackaged tools such as table of contents or book indexes. But also whatever we create ourselves like highlights, annotations, linking and citing to help us (re)organize information and easily consume it. I’ve sought the deeper meaning of why we need to have these techniques and then…I completely abandon them. Red Highlight or Blue Highlight? I could not find a viable way to translate the paper methods we are accustom to using in an efficient manner to a digital screen. I will not substitute the hardship of thumbing through indexes references, going back and forth in pages with the ease of simple search boxes or hyperlinks. Or digitally flipping pages and waiting for each page flip animation while a simple swipe with a continuous scroll that ‘rubber-bands‘ naturally seems a lot more appealing. Even the fundamental purpose of highlights seems a bit archaic if your primary goal is to filter out the contextual noise and focus on a phrase. In my humble opinion, the truth does not lie in any particularly fancy visual design but rather designing the animation of the interaction. In short: the presentation of the animation. I’ve now embarked on a crazy quest to seek out and find or create the perfect animations and interaction designs for seemingly mundane tasks such as highlighting. I’m not aiming for any awards just for real life applications and usefulness. I belief the secret of our intelligence lies not in the amount of information we can access but rather in the manner we interact with it. What makes us smarter is not what we read but how we understand it and remember it. Now if you follow the logic of D670,713, see if you can spot the concealed patent in the video below. First correct answer in the comments will be rewarded. The video is an announcement of a future of digital research and the departure of paper.LegalComplex’s mission to explore different options and challenge the status quo through a belief that digital tools are here to enhance not facsimile our intelligence…everywhere.The path to profit was never a straight line yet it was a well marked road. Now, it’s more a adventurous journey towards an elusive place I call Convenience, where profit resides in a hi-res glass house. Now this is not the opening to my upcoming Sci-Fi drama but rather an imminent reality. At the end of 2011, there were 82 million connected TVs in homes worldwide according to research group Informa. By 2016 it forecasts that number will have ballooned to 892 million. I also predict Smart TV’s will be into corporate offices quicker than you can spell: iPad. At Wolters Kluwer’s HQ in Alphen a/d Rijn, Netherlands, you are greeted by the latest news displayed on a large screen in the lobby. These are scattered around the building and in board rooms. 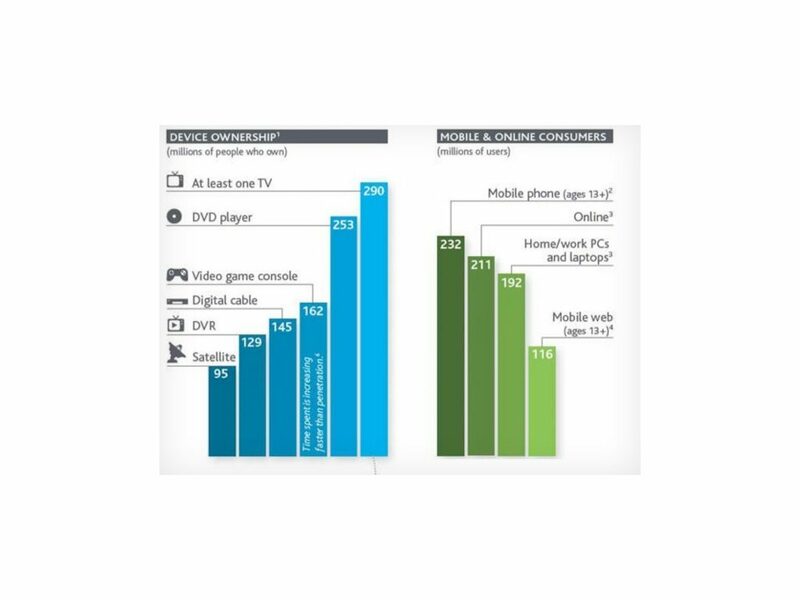 The fact is, the TV screen still dominates and it will continue to do so by convergence with the web. Actually, my first web-like experience coming to Europe was ‘surfing’ TeleText pages on my TV. I still use it occasionally for looking up flight status from my comfortable couch at home. And it’s not just flight status lookups but also legal research that is being domesticated. While doing year stats analysis on research portals, I discovered that engagement peaks during weekends with hours instead of minutes spent on the site. Imagine you could utilize the biggest screen (TV) in your home for research. It’s the same argument why you would use your smallest screen (Smartphone) for quick lookups. Natural interfaces such as the touch on Apple’s mobile devices or motion on Microsoft Kinect are slowly replacing mouse and keyboard. I wouldn’t go as far as using my eyes to control the screen but I think it isn’t farfetched that a minority report style of an interface will enter our television sets. And some in legal technology have already been wondering when it will appear for legal research. Traditional print publishers are already dipping their toes on Apple TV, Google TV or Roku. Legal research has passed the crossroads of print or digital and is heading for the next: facts or concepts. But are search engines getting too “easy” to use? Is the “dumbing down” of legal search engines a real threat to the quality of legal research? As promised in a comment on a previous post, I would delve into the dilemma of simplifying of legal search engines. The question was raised again on the 3 Geeks and a Law Blog , which led me to some very intriguing insights presented in Roberta Shaffer’s key note at the American Association of Law Libraries (AALL) Vendor Colloquium. The reason I’ve picked these statements is that I think they are key in the evolution of legal search engines. Deep analytical research is like finding a crumb and following its trail through the forest. My suggestion is to clear the forest or use a bloodhound. The skill set we needed in the past are evolving but the tools we use aren’t. In short, a logical evolution of legal search engines is trying to distill more facts and less concepts; also because the latter is much harder to achieve by a ‘machine’. The essential question on everybody’s mind will always be: what’s at stake? In this new age the margin for errors for professionals are far greater simply due to amounts of data available. Let’s not forget that an online legal search in the many repositories is only one way to get answers. But wouldn’t it be nice if it was our first stop for quick answers about the facts of the matter. 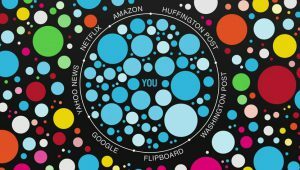 In 2008 Clay Shirky coined the phrase “It’s not information overload. It filters failure.” In 2011 this was reversed by Nicolas Carr stating: “It’s not information overload. It filters success.” He also stated that we were, in fact, getting dumbed down by filters like Google. Eli Pariser at TED gave a presentation called Beware online “filter bubbles” which gave a warning of the dangers of filters and personalization. So are we going filter mad? The reason for the filter upheaval is understandable from a certain perspective. So was book burning in its day. Filters have been around since there was information exchange of any sort. Eli Pariser made the case that in the last century we had filters called editors with build in ethics who decided to give us a wide spectrum of information. Algorithms – without ethics – are replacing editors in this century as our main filter. However, the problem is that algorithms for personalization will inevitably calculate your persona and provide you the information it can deduce you might want. This can be very confrontational. But that’s not much different from the previous century whereby the act of buying and reading a certain newspaper brand is highly ‘personal’ and would say a lot about who you are. In a world of consumer-targeted filters, do these also pose a “danger” for the business market? On the contrary, they are the core of the business proposition. The rise of information providers and publishers depended solely on finding the appropriate filters called sources, experts, authors, editors, etc . A lawyer arguing before the bench, a physician at the bedside, or an accountant before a filing deadline do not have the luxury of the accidental discovery of crucial information. 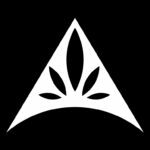 They rely heavily on meticulously chosen filters to deliver in a clutch. And now they are requiring us to design better filters and not force them into haystacks to find a needle. 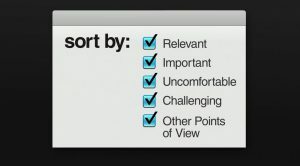 Information overload is a symptom best cured by filters that do not aggravate the problem or deceive the user. Most of what’s happening on the information super highway – at accelerating speeds – is just evolution as genuine as Darwin. 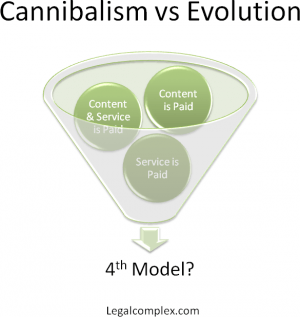 Yet, most are still determined to call it cannibalism when a “new” service or product threatens the established business models. But as the saying goes: there’s so sense in beating a dead horse…better to trade it for a car while it’s still alive. On one of the earnings calls for Apple, an analyst asked COO Tim Cook: do iPad sales cannibalize their PC market? His answer in short: No, on the contrary, but if it would eventually happen it would be for the better. It did not dawn on me until seeing Steve Jobs presenting the iPad 2, that Apple has already given up on the PC market they have defined since its inception, and are moving on to next thing. Mr. Jobs kept making the reference to the “post-PC era” and I could hear Bill Gates echoing in the background. Most may have forgotten, but the ex-Microsoft CEO was an early champion of tablets and voice recognition. Yet Microsoft’s business model (or thinking) did not permit them to go full blown for marrying the hardware and software to make tablets a success. If the Amazon Kindle had not proven to Apple that the timing was right we might still be waiting for the first real tablet. This is an example of why timing is everything and it does not always mean you have to be first. In a PC market disruptions are common and adapting is crucial, but to publishers both are unsettling. A business that hasn’t drastically changed since the invention of the printing press needs some time to digest it all. However, it is still a gamble what will be the “next big thing.” For instance, the film industry took an enormous bet on 3D and it paid off. We all know 3D isn’t new (and gives headaches) yet the film industry posted record earnings partly due to this technology. Still, most can argue that 3D is still a huge gamble for TV manufactures and PC makers. 1. Halo effect: Tim Cook called the effect of the iPad “a Halo Effect from Apple product to Apple product.” Similarly, any digital version (web or app) of a paper product will initially boost its predecessor and not kill it. 2. 3D effect: Technology doesn’t have to be “new” or “innovative” to work. It just has to be done right with the purpose of adding value to utility and design. 3. Darwin effect: “In the struggle for survival, the fittest win out at the expense of their rivals because they succeed in adapting themselves best to their environment” (Charles Darwin). Adapting to a digital environment is having a fundamental understanding of its strength (distribution) and weakness (usability) and using both to your advantage. 4. Pricing effect: In my opinion, the biggest challenge for publishers is their business model: pay for content. This will be increasingly more difficult to justify because of the abundance of (free) information. Just ask the newspapers. 4th Model: Due to the abundance of competing for cloud solutions, a model must arise that considers both the value of content and service and replace the ad-supported model as the predominant model for the web. 5. Goodwill effect: This a bonus effect due to all of the above effects. The marketing is in the product itself.